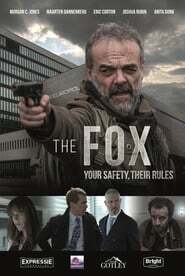 The Hague-based Europol agent Simon Fox (Morgan C. Jones) leads a troubled life after he accidentally shot and killed a child. Struggling with this trauma Simon is confronted with a secret post-war resistance organization called ‘Gladio’. The organization is abused by illustrious politicians in their hunger for power, as a result of which The Netherlands is likely to degenerate into a police state. When it becomes clear that Simon’s father established ‘Gladio’ after the war with very different intentions, Simon is determined to turn the tide..